“At last we’re doing something!” the white-aproned Mrs Custance declares to her husband, having invited the soon to be homeless Miss Docker to live with them in an act of charity that might salve their suburban ennui and justify their comfortable existence. They quickly find out, however, that living with Miss Docker – an insufferable do-gooder – will be harder than they thought. 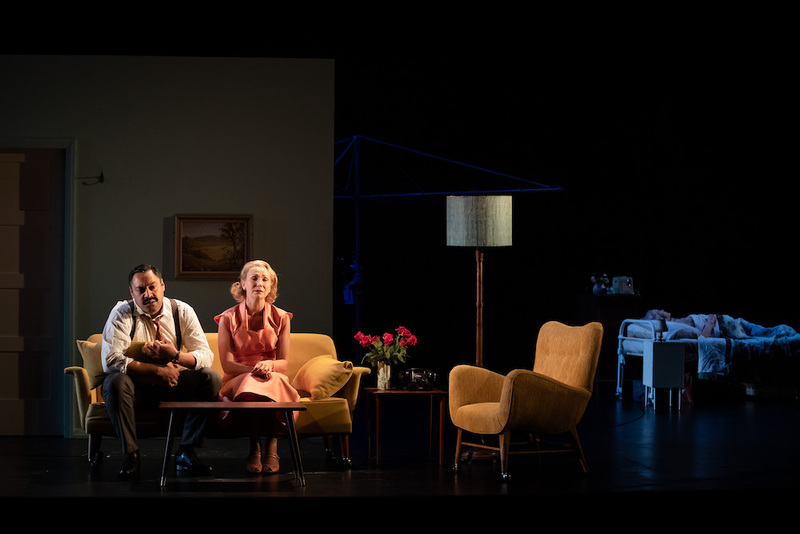 Set in the late 1950s, Australian novelist and playwright Patrick White’s A Cheery Soul skewers the hypocrisy of the Australian middle class in what was his favourite play, set in the prototypical Sydney suburb of Sarsaparilla. 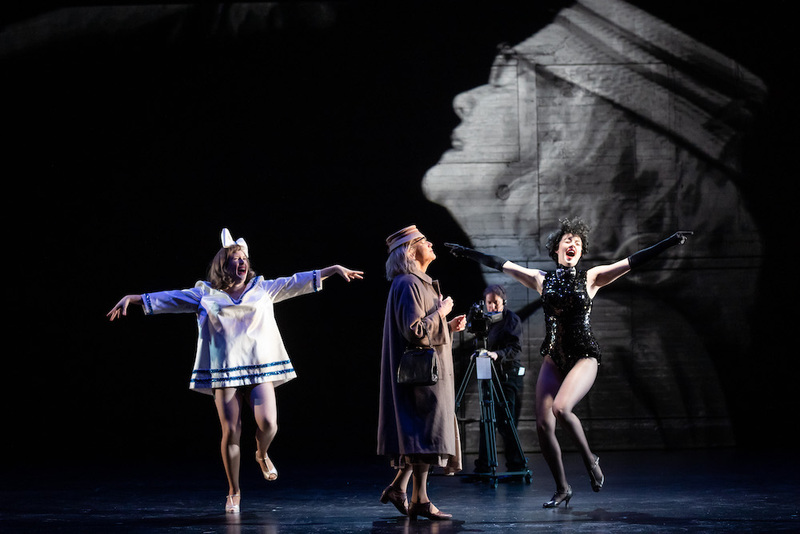 The eccentric Miss Docker, played to acclaim by Robyn Nevin for Sydney Theatre Company over the years, is one of Australian theatre’s most memorable characters, and Sarah Peirse gives a masterful performance in this new production by STC Artistic Director Kip Williams. It soon becomes clear to the Custances that their good deed will be thornier to navigate than they imagined, as their guest intrudes into every aspect of their lives in her attempts to assist her hosts and dispense advice. “I’m a truth teller,” Miss Docker says later, and throughout the play the characters – and the audience – blanch at her unfiltered criticisms, so stinging because of the truths they touch on. 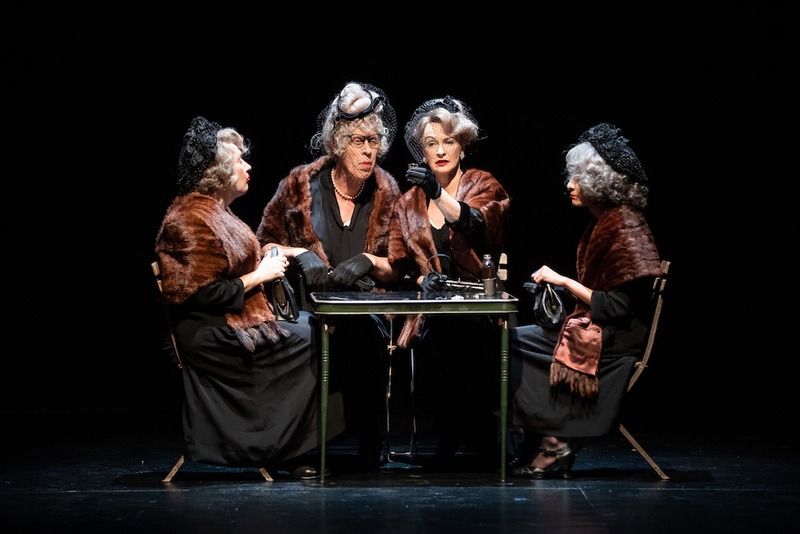 Peirse’s Miss Docker is a whirlwind, bird-like figure, constantly in motion, her nails-on-a-chalkboard chatter and backhanded comments quickly driving Mrs Custance (Anita Hegh, giving a wonderfully high-strung performance) up the wall. Mrs Custance’s passive, simmering husband is played by Anthony Taufa sporting, as White decrees, a ‘Nietzschean’ moustache. You can feel the tension in the theatre as Miss Docker prunes his precious tomato plants, and ready-to-burst 50s sexual repression gives the opening scenes a powder keg tension. A Cheery Soul is an off-kilter play – White drifting from the realism that had dominated Australian play writing – and Williams leans into this in his production, foreshadowing the disintegration to come in the earlier scenes which, for all their sharpness, lurch, unravel and coalesce on a double-revolve, the inner life of the characters writ large on a screen behind the stage, filmed live by onstage cameras, and easing the transition into White’s unfolding nightmare-scape. 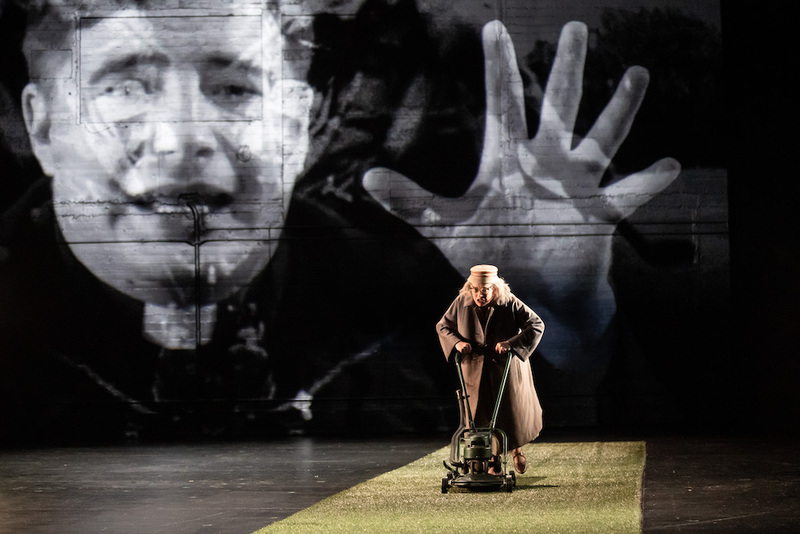 Williams is at his best in the deft marshalling of complex forces and multiple angles, and A Cheery Soul is no exception, the staging complex but beautifully and precisely choreographed. Elizabeth Gadsby’s set is black and open, a liminal, dream-like space with highlights of vivid colour (the green and red of the neatly placed tomato plants, for example), a red chinoiserie wall of the Sundown Home for Old People (to which Miss Docker is dispatched when the Custances admit defeat) descending from above like a portcullis. Alice Babidge’s costumes provide a neat demarcation between the pink-dress-white-apron of Mrs Custance and the humbler, drab garb of the poorer Miss Docker and the ghoulish furs of the Home residents, while Nick Schlieper’s lighting spans warm domesticity to nuclear apocalypse. Clemence Williams’ quirky, ironic score ups the ante on the characters’ emotions. The world of Sarsaparilla is populated by a solid cast – all but Peirse juggling multiple roles – including Emma Harvie, Jay James-Moody, Tara Morice, Monica Sayers, Shari Sebbens and Bruce Spence (who plays everything from a furniture removalist, to befurred Sarsaparillan lady, to a young girl) with Brandon McClelland’s desperate minister and his earnest wife, played by Nikki Shiels, particular highlights. There are incredibly funny moments, particularly in the first half, but Williams skirts the divides where derision slips into pity and laughter becomes guilt in this production, the scenes in the Home ringing with absurdity as White has the residents functioning as a Greek chorus, reality, memory and hallucination mingling. But while it’s easy to sympathise with the characters’ distaste for Miss Docker’s intrusions and nattering, we see several moments of her humanity. Peirse is winningly girlish in her phone calls to the town’s gentlemen, and her various rejections by Sarsaparillan society are often heartbreaking even as we understand why they have occurred – beneath her overcompensation there is both pain and strength. The play’s second half feels less focused as the bleakness and increasing isolation of Miss Docker’s life wells up around her, but Peirse is on point right to the end, giving us a Miss Docker who is uncomfortably recognisable in her acerbic behaviour, yet also sympathetic and ultimately very human. A little over half a century old, White’s play still needles, particularly as the country wrestles with an ageing population and the recently announced Royal Commission into Aged Care Quality and Safety. A Cheery Soul invites us to ask ourselves, what does it mean to be kind? What does it mean to be good? And how do we as a society care for those whose behaviour is more difficult or unpleasant?